It's easy to tell when an animal doesn't want to live in a cage. 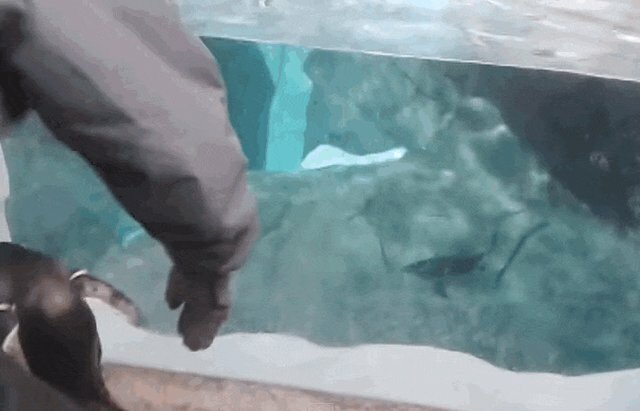 A captive penguin was caught on camera hopping the fence of her enclosure, escaping her tank and waddling around in the crowd for a moment before being tossed back into her artificial habitat. 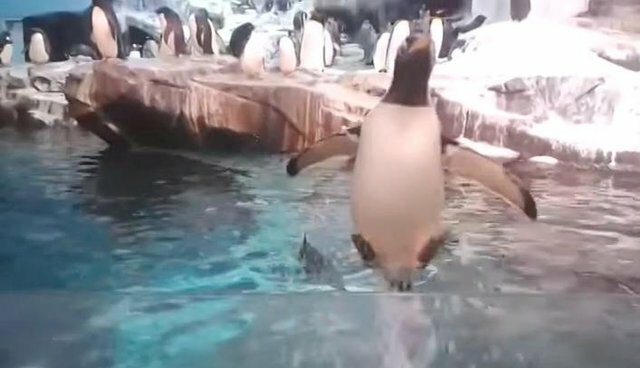 Timmy Dozois of Clermont, Florida, captured the incredible moment when the brave penguin launched herself straight out of her tank, toward her gawking human audience. "Alright guys, this little penguin (who, after I shot the video and was talking to a Team Member, I found out she is one of the mischief makers at Empire of the Penguin) kept jumping up at the glass, as if she was trying to escape." While the staff who spoke with Dozois may have dismissed the escaping animal as a 'mischief maker,' it seems pretty clear that this penguin didn't just want to cause trouble - she wanted to get out of her tank. 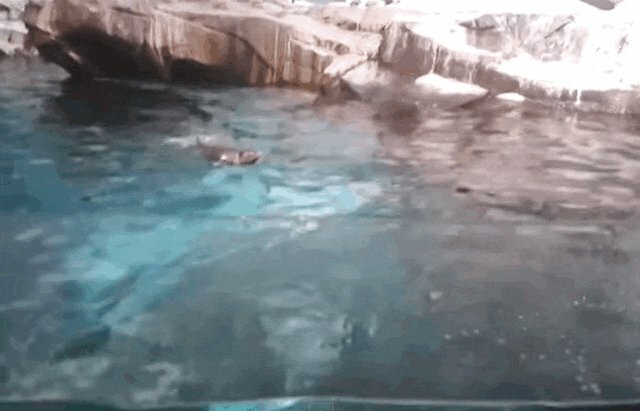 The video clearly shows someone in a uniform picking the penguin up and casually tossing her back into the water ... almost as though this is something that happens with mundane frequency. Dozois seemed to have been delighted to experience such an up-close encounter with a penguin, calling the episode "the best thing to have ever happened to me so far in life." Unfortunately, as cute as penguins are, the video also speaks to the dark side of captivity. In 2014, captive penguins at a sanctuary in the U.K. had to be given antidepressants after their caretakers noticed they were looking "miserable." A penguin who escaped his artificial pool at a Tokyo aquarium managed to live in Tokyo Bay for months before being captured and brought back into captivity. SeaWorld has also been known to steal penguin chicks from their parents in the wild and raise them in captivity, so it's possible that this feisty penguin knows there's a big, wild world out there ... and she's just trying to get back to it.